Located in the shadow of Mt. 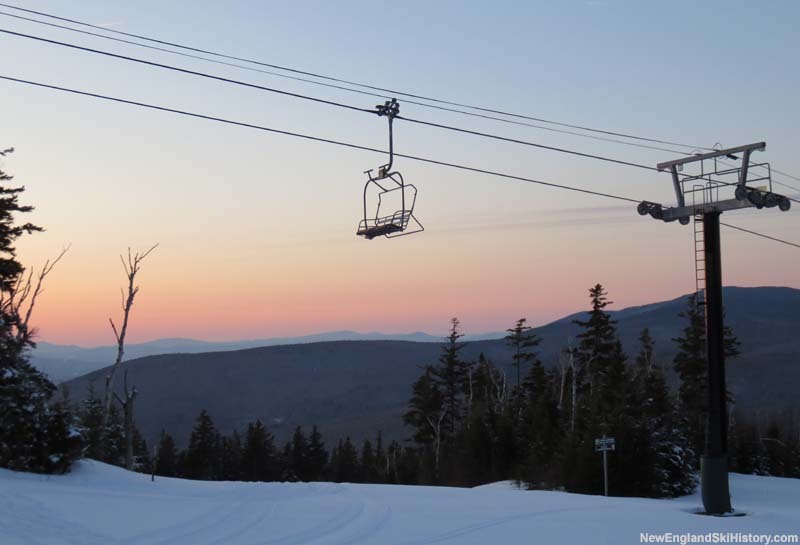 Washington, Bretton Woods is the newest major ski area in New England. Its high base elevation and wind-protected exposure results in unique conditions for the region. Despite being home to some of the tallest peaks in New England and some of the deepest natural snow totals, the Twin Mountain - Crawford Notch - Jefferson region of the White Mountains lacked a major ski area. While the 1960s brought proposals for ski areas on Mt. Agassiz, Mt. Jefferson, North Twin Mountain, Mt. Pierce, Mt. Tom, and Willard Basin, the region was still without one by the time the 1970s rolled around. During that time, however, Interstate 93 had been constructed to Lincoln, New Hampshire, providing fast access to the western White Mountains from cities down south. Opportunity presented itself across from the Mt. Washington Hotel in the Rosebrook Mountains. In early summer of 1969, Philadelphia-based investors under the name of the Mt. Washington Development Co. purchased 10,000 acres of land for an undisclosed figure in the multiple millions of dollars, as well as acquiring the stock of Mt. Washington Hotel Corporation.. The company was owned by Bankers Bond and Mortgage Gauranty Co.'s Washington Woods Investment Co. and Donald S. Cohan's Mt. Washington Investment Co. Funding was provided by the owners, mortgages from the prior land owners, and financing from Provident National Bank, Industrial Valley Bank, New England Merchant's Bank, and $7.5 million from Institutional Investors Trust (IIT). The $100 million project was to include a ski area, two golf courses, 2,000 homes, and 500 condominiums. The project was led by Cohan, an attorney who had ventured into real estate in the late 1960s. At the age of 42, Cohan won a bronze medal in sailing at the 1972 Olympics. Meanwhile, construction was underway for a ski area on the Rosebrook Mountain Range. Sno Engineering was hired to design the ski area with the hopes of opening it that winter. While construction of the trails, lifts, and snowmaking plant was reportedly on schedule in the fall of 1972, the opening was delayed until the 1973-74 season because, according to Cohan, "we could not be sure of building sufficient numbers of new condominiums and ski lodge facilities to properly balance the on-hill operations." Meanwhile, proposals were drawn up to construct a casino. 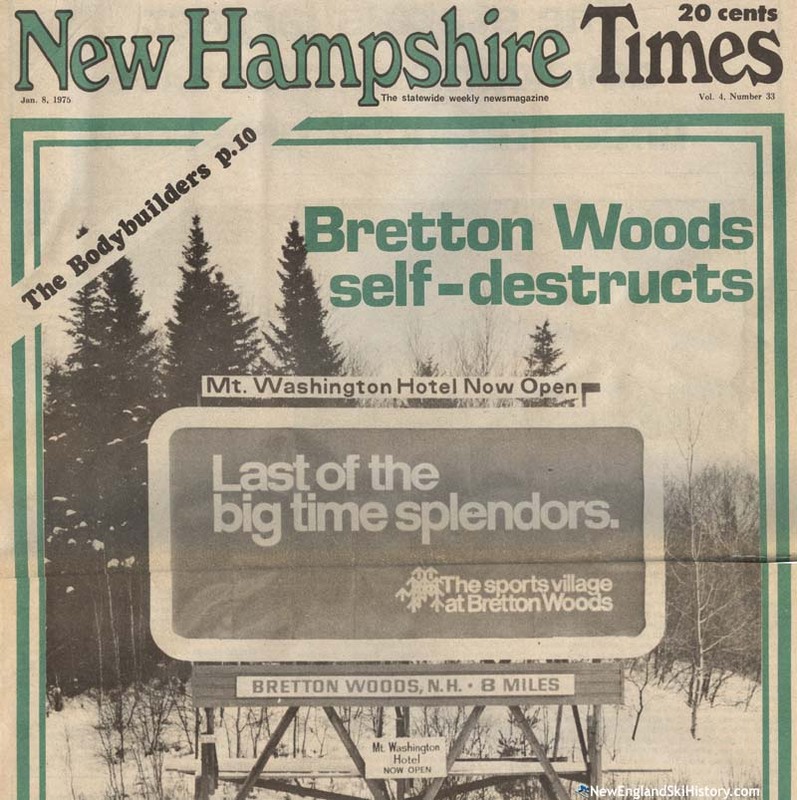 Bretton Woods opened for business on December 29, 1973 as an 1,100 vertical foot ski area. For the 1973-74 season, Bretton Woods had two double chairlifts, a T-Bar, 30 acres of snowmaking, and 18 miles of nordic trails. The alpine trail network consisted of 7 intermediate ski trails and one beginner slope. According to Skiing magazine, New Hampshire Governor Meldrim Thomson was so impressed with the area at its grand opening that he returned the following month to learn to ski. While the ski area was open, the overall development was running into significant issues, as environmentalists and government agencies were ramping up opposition. Cohan lined up an additional $2 million in financing from IIT to get the sewage treatment plant constructed, which was necessary for the planned real estate development. However, the financing was never secured, resulting in the halting of plant construction and returning of the equipment to the manufacturer. Real estate lot sales stopped, payments returned, and infrastructure work was ceased. Heading into the fall of 1974, liens, lawsuits, and back taxes were adding up, as the developers owed money to local and national companies, including lift manufacturer Heron Engineering Co. In order to keep the ski area operating for the 1974-75 season, BGF Co., Inc. was formed on December 10, 1974 to assume an operational lease of the ski area. On December 20, 1974, IIT foreclosed on the Mt. Washington Development Co. Mountain Management Company, Inc. was incorporated on December 30, 1974. By January of 1975, Mt. Washington Development Corp. had become the largest bankruptcy in state history. Citing issues with state environmental regulations, a depressed housing market, and $14 million in debt, stopped all non-ski area operations. That summer, the resort lost the Volvo International Tennis Tournament to Cranmore. The area's ski touring center may have formally debuted for the 1975-76 season. Financial backer IIT took control of the resort that year and worked to keep it operational. The Georgia-based Bretton Woods Corporation, an IIT affiliate, was incorporated in New Hamphshire on August 25, 1978, taking ownership of the hotel. Around this time, Mountain Management Company was able to transition the hotel from near-closure to profitability. In mid 1979, IIT sold 6,500 undeveloped acres to the US Forest Service for $2,115,000. With the financial situation of the resort improved, IIT looked to sell. In May of 1980, IIT sold the resort to Bretton Woods Associates for $5.7 million. Led by Jack Sylvester, the new owners immediate plans were renovations on the Bretton Woods Motor Inn and Mount Washington Hotel. Bretton Woods Acquisition Company was formed in 1983 to own and operate the resort. In 1983, a Fabyan's triple chairlift was installed on the upper mountain, expanding the area's vertical drop to 1,500 feet. Nine new trails opened, including some much needed black diamonds. By the mid 1980s, 80% of the terrain was covered with snowmaking. However, the area struggled with cashflow problems during the 1984-85 season, resulting in a management shake up. In late 1987, after decades of local opposition and five years of construction, Franconia Notch Parkway opened. By connecting Interstate 93 to the US 3 segment to Twin Mountain, the new road dramatically improved access to Bretton Woods. During the spring of 1988, the owners of Bretton Woods, the Mt. Washington Hotel, and related properties (now known as Bretton Woods Acquisition Co.) sold the holdings to Satter Company of New England. Satter Company of New England then transferred the Mt. Washington Hotel and other lodging properties to First Commonwealth Development Inc. Later that summer, Satter Company of New England sold Bretton Woods ski area to a group of investors led by Herb Boynton and Joel Bedor. 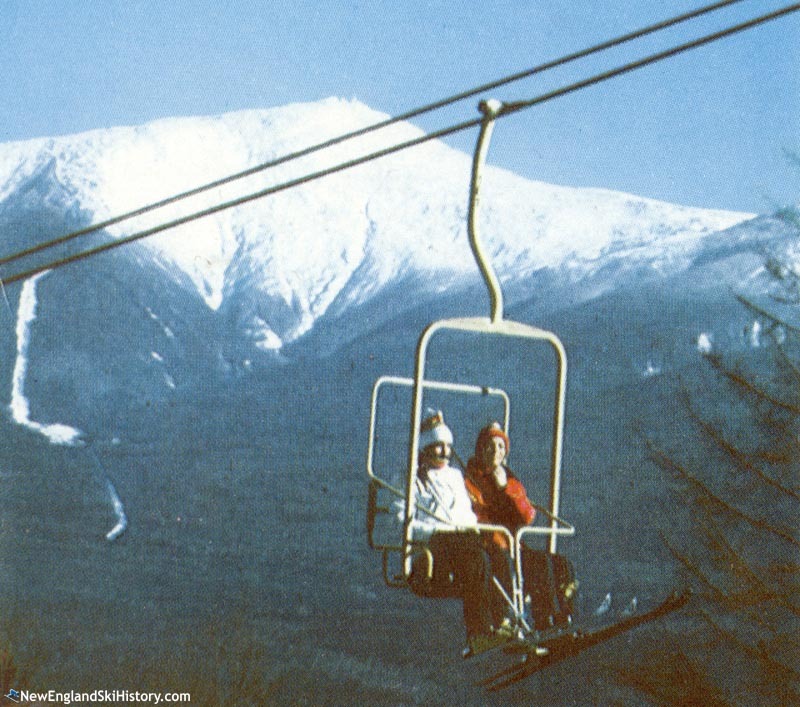 Their first big investment took place the following year, when Bretton Woods installed one of the state's first high speed detachable quad chairlifts. Named the Bethlehem Express, the new lift provided a quick way out of the base area and teamed up with Fabyan's triple to provide a high capacity route to the summit. Three new trails, additional snowmaking, and an expanded base lodge rounded out the $2 million project. Bretton Woods and the Mt. Washington Hotel ran into trouble in early 1990 when lenders Dartmouth Bank and Eliot Savings Bank ran into trouble. By mid 1991, both banks had failed, resulting in the Federal Deposit Insurance Corp. taking control of the properties. New Hampshire based MWH Preservation Limited Partnership, led in part by the owners of the Mt. Washington Cog Railway, purchased the hotel and related lodging and dining facilities at a June 26, 1991 auction for $3.15 million. Two years later, the group acquired the Bretton Woods golf course. 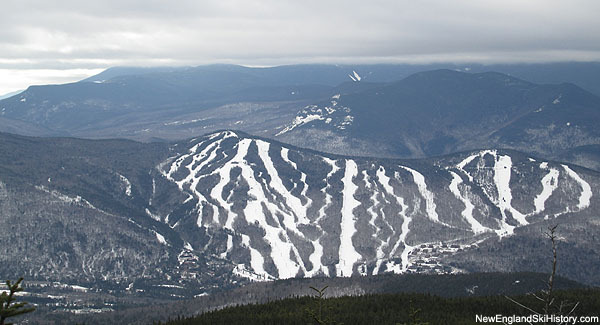 In September of 1997, MWH Preservation Limited Partnership purchased Bretton Woods ski area, bringing the businesses back under the control of one group. 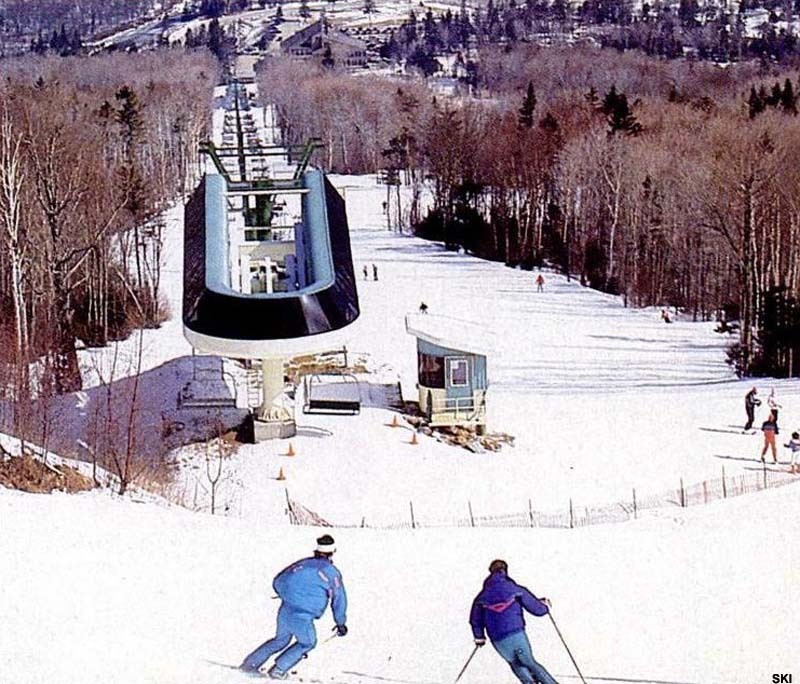 One of their first moves was to install a novice double chairlift for the 1998-99 season. 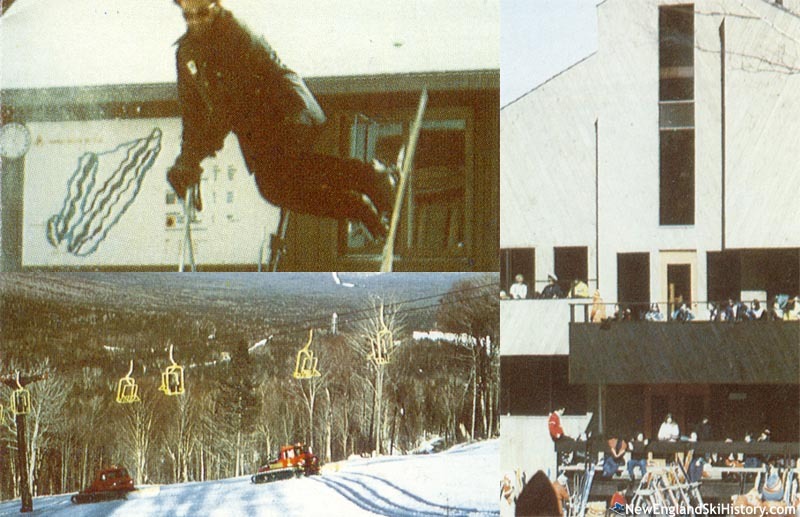 In conjunction with the winterization of the Mount Washington Hotel, West Mountain was opened for the 1999-2000 season. Initially served by a fixed grip quad, the new complex provided additional intermediate trails and expert glades. The original A Chair was replaced for the 2000-2001 season with a new high speed detachable quad. The West Mountain quad was upgraded to a high speed detachable quad chairlift for the 2002-2003 season, while a fixed grip quad replaced the Crawford double chairlift. The Mt. Rosebrook area debuted for the 2003-04 season, served by a new high speed detachable quad. Though the new trails were short, they provided some much needed steeps for Bretton Woods. In December 2004, the ownership opened the Cog Railway Ski Trains, providing Bretton Woods skiers with package deals. The service operated for two seasons. In June of 2006, the Mount Washington Hotel, Bretton Woods ski area, and related properties were sold for $45 million. As part of the deal, Bretton Woods ski area was acquired by CNL Lifestyle Properties, Inc.. Omni Hotels & Resorts began leasing the properties from CNL in September 2009. An initial expansion was made to the Mt. Stickney area in 2010-11 when 30 acres of glades were opened. Two years later, the Telegraph T-Bar and Mount Stickney Cabin were added to the complex. On December 1, 2015, Omni Hotels & Resorts purchased Bretton Woods and associated properties from CNL Lifestyle Properties, Inc. for $90.5 million. 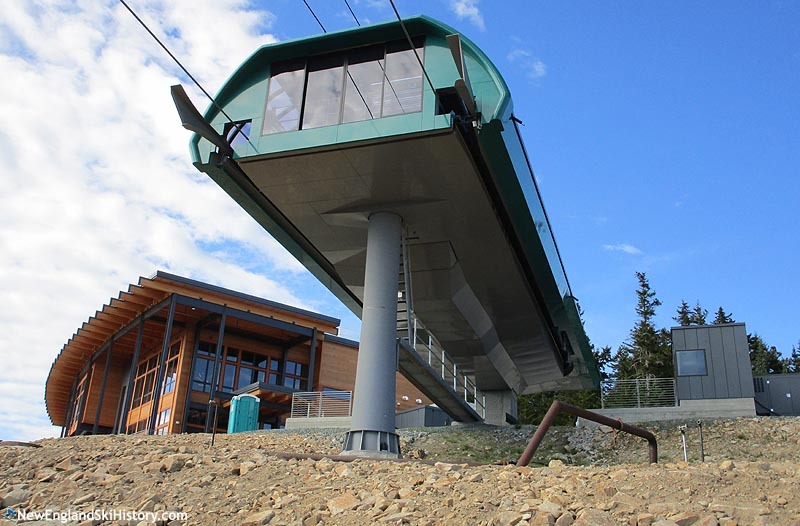 Omni's first large scale investment as owner came in 2018, when it announced the installation of an 8 person gondola and future upper mountain lodge. With the gondola installation came the removal of the final original lift, the B Chair. "I love Bretton Woods! Ive been a season pass holder for 4 years! I can ski the whole mountain exept the glades. My aunt and uncle have a condo right across the street from the mountain, i go here almost every weekend! " "I was proud to have worked at Bretton Woods from 1990-95. A great place to learn, with excellent grooming. I haven't been back since but would love to see the changes." "I used to work at Mount Washington and had a fun time. Given the fact I worked there I got a free season pass and spent almost everyday snowboarding down Bretton Woods. I have to say it is the only mountain I would recommend it to anyone because its the best mountain with a friendly environment. "